Have you ever seen a dog roaming alone and wondered what to do? Perhaps you saw what looked like a stray or lost dog on the side of the road and feared for its safety. Maybe you wanted to help but kept driving because you did not know what to do. Consider the following tips next time you find a stray or lost dog. First of all, make sure there is no owner around. Unfortunately, some dog owners let their dogs roam free. Do a visual sweep of the area and make sure you don't see an owner before you proceed. Next, does the dog appear to be injured or distressed? If so, you must proceed with caution. An injured or distressed dog may try to bite. Plus, moving a seriously injured dog may worsen the injuries. Unless you have experience with these types of things, it may be best to call local animal control. Is the dog showing signs of aggression? If so, do not attempt to catch this dog. Call your local animal control and alert them to the situation. If the dog appears friendly and seems to have no serious injuries, the next step is to try to capture the dog. Often, the best way to do this is with food. Crouch down and try to coax the dog towards you using a happy, upbeat tone of voice. Do not chase the dog as this is likely to make him run away from you. If you are able to get the dog to come to you, try to find a way to contain the dog. Remember to be safe and avoid a dog bite. If possible, place a leash on the dog or corral the dog into an enclosed area. Take photos of the dog with your phone if possible. Look for a collar and ID tag. If no ID is present, take the dog to a local vet or animal shelter so he can be scanned for a microchip. 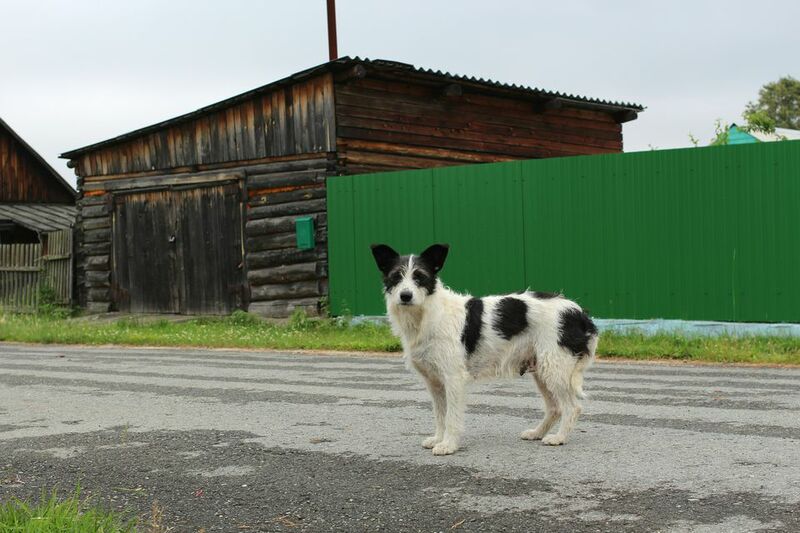 If no microchip is found, don't assume the dog is a stray. It's always best to first assume a dog is lost and look for its owner. Legally speaking, you should contact animal control about the lost dog. Local laws usually require a holding period before a stray dog can be rehomed or euthanized. This time frame may be anywhere from five days to two weeks depending on the local laws. The holding period allows time for owners to reclaim their lost dogs. Due to overcrowding, you may be able to foster the dog while attempting to locate the owner. If not, you may inform animal control that you wish to take the dog after the waiting period to prevent euthanasia. During the legal waiting period, you should take steps to locate the dog's owner. Post fliers with a brief description of the dog in the area where you found the dog. Look for lost dog fliers around town. Look on local missing pet websites, Facebook pages, and online classifieds (like craigslist) for posts about missing dogs. Post listings about the found dog, including photos, on these websites. You may decide to foster the dog while looking for the owner (or, after the waiting period, looking for a forever home). If so, you should first bring the dog to a vet for evaluation. Be aware that you must assume financial responsibility for the dog in this case. Once the dog has been seen by the vet and received any necessary treatments, tests, and vaccines, you can take the dog home. Create a secure, comfortable area for the dog away from other pets in the home. If this is your first experience with a dog, ask your vet for advice about feeding and other care. If no owner can be found for the dog, your next step is to decide: will you foster and search for a home for the dog, or will you keep the dog as your pet? If you are fostering the dog, you may be able to find a pet rescue group to help take on the financial responsibility. Contact groups in your area to explore your options. If you are keeping the dog, congratulations. You'll have a friend for life!